Back in November of 09, about a dozen Islands residents met to discuss the recent spike in crime, and how to combat it. From that meeting emerged the beginning of our current DI Neighborhood Watch organization. We currently have email addresses or phone numbers for nearly 100 Islands residents participating in being eyes and ears for Tampa Police Department. These residents receive regular email updates about criminal activity taking place, and share anything they have seen or heard through channels all the way to police headquarters. At a recent meeting, we were pleased to have Police Chief Jane Castor with us, who spoke and fielded questions for almost an hour. Becoming a part of Neighborhood Watch not only keeps you informed, but keeps you on the inside track for valuable tips shared by our TPD Neighborhood Watch Liaison, Maryanne Hunsberger. She has a wealth of information about not only current activity to watch for, but how to keep you and yours from becoming victims. A recent suggestion was the purchase of what is commonly called a “game camera,” a motion activated infrared camera that time and date stamps a photograph of any activity around your home. Another pointer was to be sure your brand spanking new 60” TV isn\’t visible from the street through your open blinds. A burglar could simply wait until the next day when nobody is home, and they know the exact location of their next entertainment center. If you would like to become a part of the network, simply email me at mooretrux@aol.com , or call 813.601.9839, with your name, street address, phone number and email address. 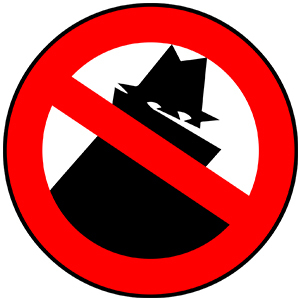 We want to thank the DI Civic Association for getting our Neighborhood Watch chapter reactivated. At the monthly DICA board meetings, a TPD lieutenant gives a report and hears concerns; the public is welcome. Also, DICA has made it possible to order the window stickers by providing the advance payment needed.